Chicago Blackhawks . 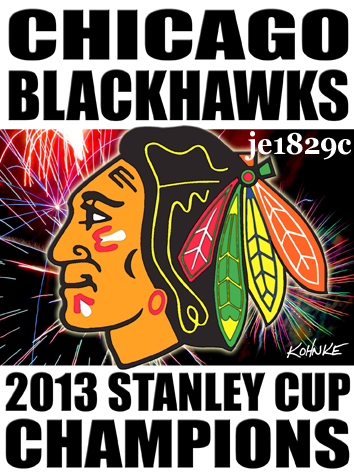 . . 2013 Stanley Cup Champions! The Chicago Blackhawks score two goals in 17 seconds with minutes left to the game and win their second Stanley Cup in four years!